The Med is a modest restaurant that blends into the somewhat blasé background of South Salt Lake. Either it’s one of your favorite joints, or you’ve never eaten there. Serving a variety of “old world cuisine,” including Middle Eastern dishes, as well as Italian and American favorites, The Med satisfies the most picky palates. Vegan and vegetarian options are clearly marked, and there is plenty to chose from. Walking into the dimly lit restaurant, a full size Egyptian sarcophagus greets you, which is both unsettling and pretty cool. Looking around you’ll notice the decor is outdated and a little strange, but once your food is served, you won’t care. When seated, the friendly service and an interesting menu draw you in. Servers are happy to explain the menu and offer suggestions. Deciding on your order is the best part, whether you’re in the mood for something extravagant like the zereshk polow, a Persian stew made with chicken thighs stewed in a tomato sauce topped with tart zereshk berries and cranberries over basmati rice or a good old hamburger and fries. The minute the food and drink hits the table, the restaurant comes to life and you’re wondering if it was even the same place. For first timers, you can’t go wrong with the Mediterranean Platter, a combination of everything good about Mediterranean cuisine for only $11.99. The first course is a duo of Greek and tabbouleh salads, served together with pickled beets and a dolma: rice with herbs neatly swaddled in a grape leaf. The Greek salad is super flavorful - Romaine lettuce mixed with tomato, cucumber, red onion and Feta dressed with Greek dressing. 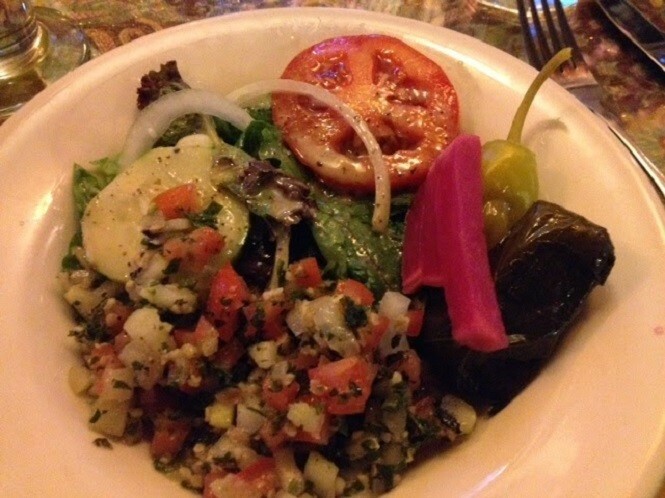 The tabbouleh is outstanding, fresh and tart with bulgur, chopped tomato and cucumber with lemon, parsley and mint. The pickled beets are a nice touch, while the dolma is downright delicious. 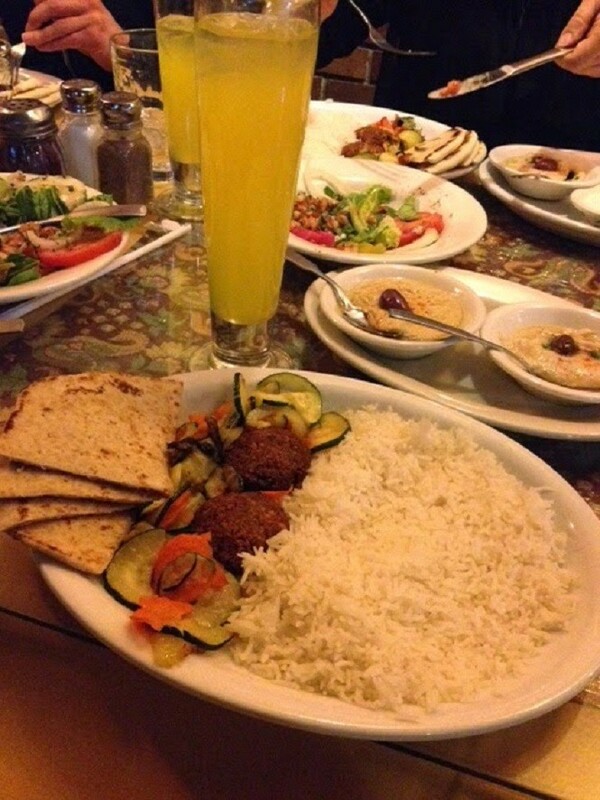 The main course is a plate full of fluffy basmati rice, light as air, sautéed zucchini, and two falafel served with pita bread. 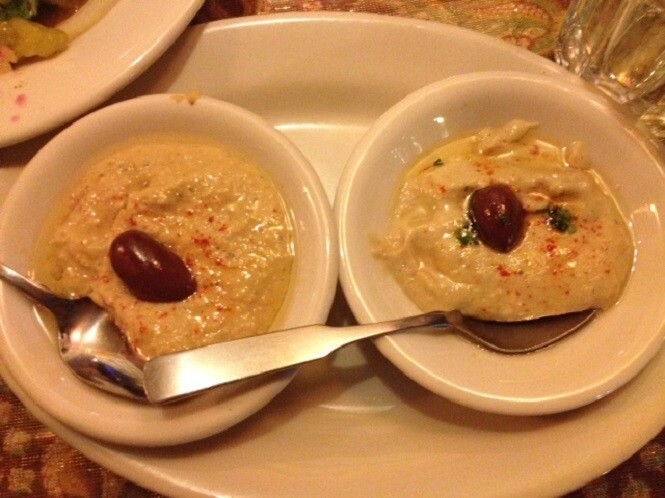 baba ganooj, a dip made from roasted eggplant, is sublime, perfectly creamy and smoky. The hummus is equally superb. The only disappointment is falafel. Two is not nearly enough. Fried balls of chickpea and fava bean paste with herbs have no right to be this good. They’re soft and tender inside with a nice crisp coating. The Med has a simple wine and beer list; nothing spectacular. The Persian lemonade is the best option, a tart lemonade with saffron and rose water, both refreshing and interesting. For dessert, there is an array of compelling sweets. Options include sholayzardh, a rice pudding topped with rose water and almonds, and of course they have baklavah, a delectable filo pastry layered with honey and walnuts. The Med is a family-owned restaurant that takes pride in their food, serving everything from curry to lasagna earning them a loyal following. If you haven't visited yet, take the time to explore the menu, you’ll surely find something new and delicious. The Med is open 7 days a week.